Once upon a time I had to take eggs out of my diet. Eggs were sort of crucial in my food arsenal. Since I avoid grains and have for years, eggs and coconut flour became the base of everything I baked. Waffles, pancakes, muffins, cupcakes, and more used copious amounts of eggs both as the binder in recipes but also for added moisture. I was overwhelmed at the thought of eliminating eggs. I asked myself “what can be used instead of eggs?” And thus began the search for easy egg substitutes and egg replacers. 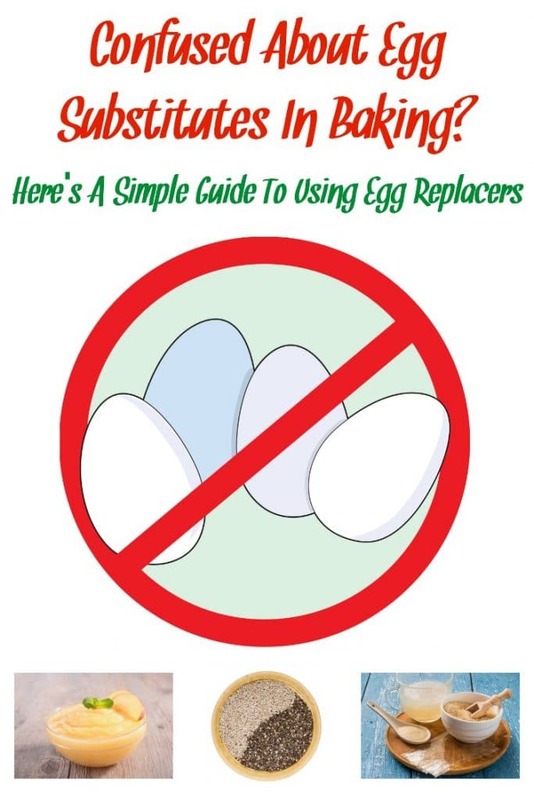 Of course I also needed a guide to using egg replacers. I was honestly overwhelmed. There were so many substitutes for eggs listed in an internet search. I sat and wondered “Which is the best egg substitute? 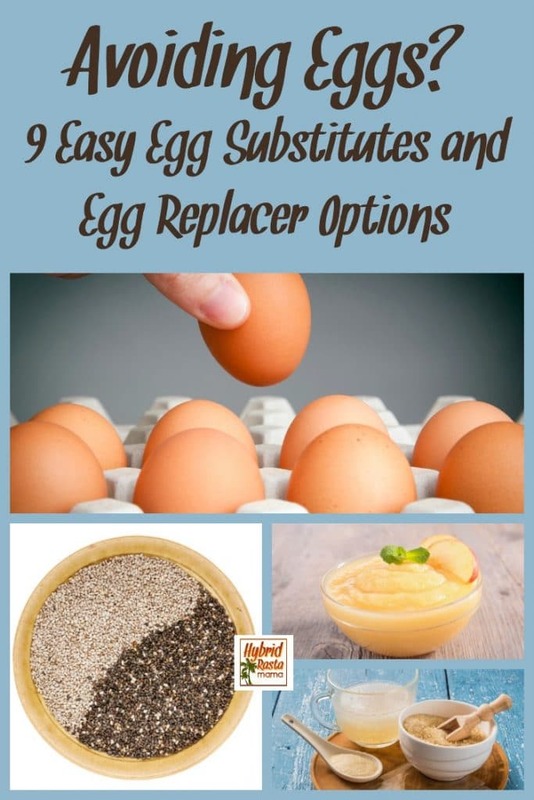 How do I know which egg replacers really work?” There were so darn many ways to replace and egg! Some egg substitutes just looked gross. Others were obviously a fail in baked goods. Some egg repalcers looked like they had potential but I was scared. I wanted to give up on baked goods. But I’m not one to ever really give up so I started grabbed my research on egg replacers and started testing them all out much like I had done with my other allergen free ingredients for baking. 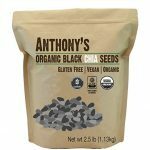 This was the first egg replacer I tried since I have made chia seed pudding before and loved it. A chia egg is a great substitute for eggs and offers a lot of health benefits. To make a chia egg, grind up chia seeds so they are a “mealy” consistency. Mix 1 tablespoon of ground chia seeds into 3 tablespoons of water. Let this dissolve for about 5 minutes. You are waiting for that goopy egg texture to develop. This will make one egg. You can make more than one chia egg at a time but the mixture may have to sit longer. If you grind more chia seeds than you need, store the leftovers in the freezer. My favorite brand is this one. 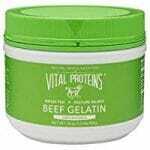 I was stunned when I learned about using real gelatin as an egg replacer. I would have never thought to do this. While it makes one of the best egg substitutes in my opinion, it can be a bit tricky if you are trying to replace a lot of eggs. I have a muffin recipe that uses 8 eggs. Well, it didn’t work with all gelatin “eggs” – the muffins were too chewy for my tastes (plus they fell apart) – but going half gelatin eggs with half plantain was the perfect solution. I’m sure you could go 1/2 and 1/2 with most any of these replacements. It also doesn’t work well for things like waffles and pancakes. The heat is too much for its delicate structure. It melts it. 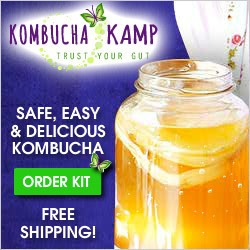 To make a gelatin egg, dissolve 1 tablespoon of real gelatin (I use this one) into 3 tablespoons of hot water. Beat until frothy. This makes one egg. My favorite brand is this one because it dissolves easily and is from grass fed cows. Aquafaba is one of the greatest egg replacers (specifically egg whites). It’s simply the leftover liquid from a can of beans (most popularly, garbanzo beans). Don’t worry, any residual bean flavor will disappear once it’s cooked, so it can be used for sweet recipes. Use 3 tablespoons of this starchy bean water to replace 1 egg. If you’re using it as a binder, whip it slightly until foamy. For meringues or whipped egg white substitute, use an electric mixer to beat it into peaks. This is a great brand and price on organic canned garbanzo beans. Flax seed eggs have some limitations. If the recipe you are using them in requires eggs for binding only, then ground flax seeds are the perfect solution. However, they do not work well if the eggs are also adding moisture. If you are replacing eggs for both their binding qualities and for adding moisture, you will need to experiment with the recipe and possibly replace sugar with honey or add some other liquid, like milk. 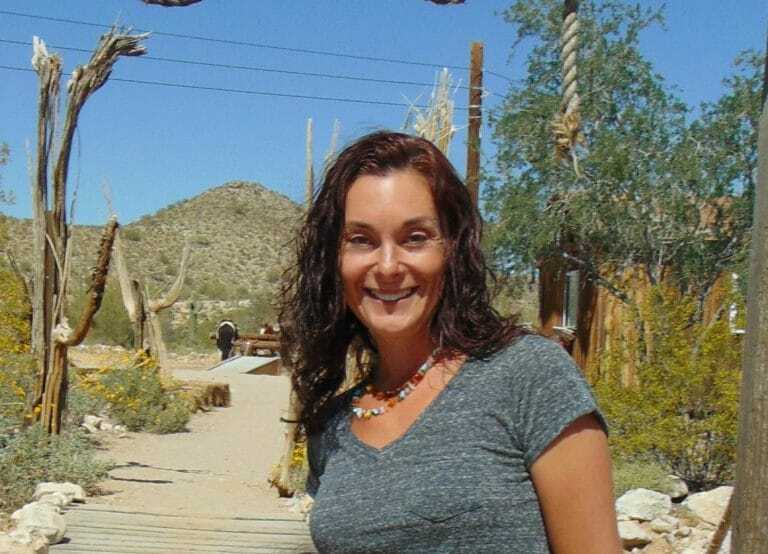 There is no definitive “moisture replacement” I can give you if you decide to use flax eggs. I suggest using flax eggs in cookies, granola type bars, and dryer baked goods like brownies. If you would like to use flax seeds as an egg replacer, mix 1 tablespoon of ground flax seed with 1 1/2 – 2 tablespoons of water. 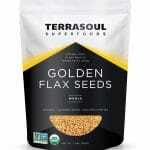 I have only tried a couple of brands of flax seeds but I like this one a lot. root powder is a starch, which acts as a binder in recipes for baked goods as well as foods like puddings. 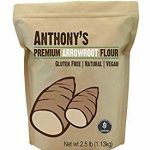 Keep in mind that arrowroot won’t leaven baked goods, so you will only want to use it in recipes which already call for baking soda and baking powder. For binding purposes only, use 2 Tbsp arrowroot powder in place of the egg. To bind and get the moisture properties of the egg, mix the arrowroot powder with equal parts water first. This is the arrowroot powder that as I use as an egg substitute. The starch plus the fiber in bananas creates that funny slimy texture we know and love in an egg. This slime makes the banana an awesome binder. It also adds enough moisture to make most recipes using eggs pretty doable. When it comes to egg substitutes, you will want to use very ripe bananas. This helps with replacing moisture. The only downside is that bananas do impart a flavor. So they won’t work well in all recipes. 1/4 cup of mashed banana plus 1/4 teaspoon of baking powder equals one egg. If you don’t want that banana taste, try plantain. It works the same as a banana. Either green plantain or ripe plantain will work but there are different ratios to use. Plantain also has some amazing health benefits that bananas do not so I prefer plantain myself. To substitute 1 egg, add 1/4 cup mashed ripe plantain or 1/3 cup mashed green plantain (1 average sized plantain typically yields 3/4 cups puree). 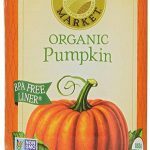 Puree some pumpkin or butternut squash up and it too can act as a binder due to the starch and fiber. Its flavor is very easy to mask. I don’t like it as much as I do some of the other binders, but it still works well. I feel like my baked goods fall a little flat. To substitute 1 egg, add 1/3 cup pureed pumpkin or butternut squash. If you prefer to use canned instead of making your own purees, this is the canned pumpkin I love and this is the canned butternut squash. I have used applesauce as an egg substitute plenty of times because you can’t really taste it, but it can be a tad finicky. 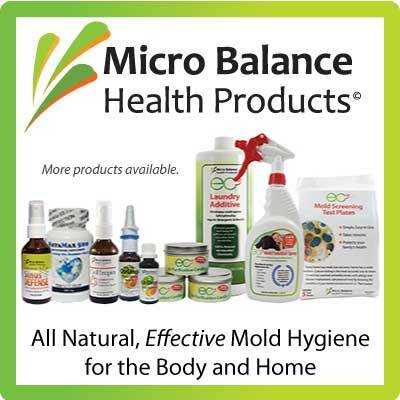 And unlike chia seed eggs or gelatin, it doesn’t offer tons of nutritional benefit. However, it does work. To substitute eggs with applesauce in a recipe, use 1/3 cup applesauce for each egg. Avoid using more than 1 cup of applesauce total in any recipe. It will make it a soggy, heavy mess. You also might want to throw in a little extra fat like butter or lard. Just a tablespoon or thereabouts. 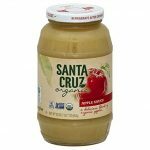 If I am not making my own, then my go-to applesauce is this one. I want to caution you that not ALL of these egg replacer options would work for all baked goods and other dessert like treats. Things like breads, custards, creamy fillings, cookies, pies, and the like might take different ratios than what I have outlined here. So please don’t shake your finger at me if these egg replacers don’t work out. 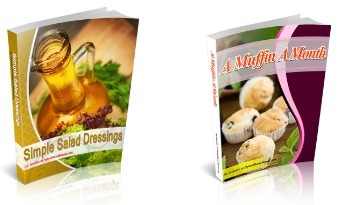 I have only tested them on muffins, cakes, cupcakes, waffles, and pancakes. Also, there are loads of other substitutes for eggs out there. I tried them. Like I mentioned earlier, I am only posting about the egg replacers that I liked and that worked for me. But please feel free to share other ideas in the comment section! I am in my 40’s and had issues with eggs and milk all my life. I am well known among friends and family for my cooking. Meatloaf, meatballs and burgers do not need eggs to stay together. Just use your favorite wet and dry seasonings with Panko. The combination works to keep the meat formed.